This makes the most delicious holiday treat for the important people in your life- like the teachers and coaches that instruct your kids, the lady who grooms your dog, and the awesome couple at the dry cleaners who launder and press your husband's shirts every week. 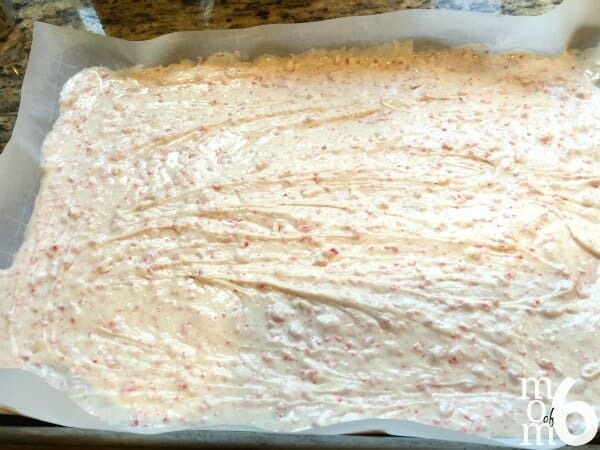 All of them deserve an extra-special thank you this time of year- and this homemade peppermint bark recipe is perfect for that! Enlist the help of a child (or two) to unwrap the candy canes, place them in a ziptop bag and break them into teeny pieces. While they are doing that, you can begin by melting the white chocolate in the microwave and stir until smooth. Add in the crushed candy canes and peppermint extract and stir again. Pour onto a cookie sheet lined in parchment paper and smooth to an even depth. Chill for 30 minutes and then break into pieces. Place into small cellophane bags This is an affiliate link: MomOf6 earns a commission if you purchase, at no additional cost to you. to give as gifts! 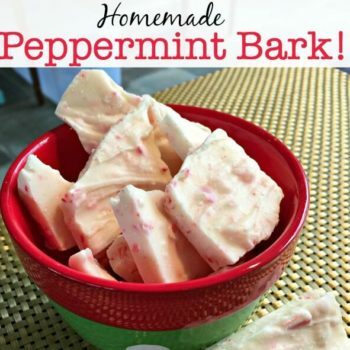 So many people in your life deserve an extra-special thank you this time of year- and this homemade peppermint bark recipe gives you a great way to do just that! Unwrap the 12 candy canes and place in a zip-top bag. Crush the candy canes into small bits using the end of a rolling pin (be careful- the ziptop bag will get some tears in it while you do this). 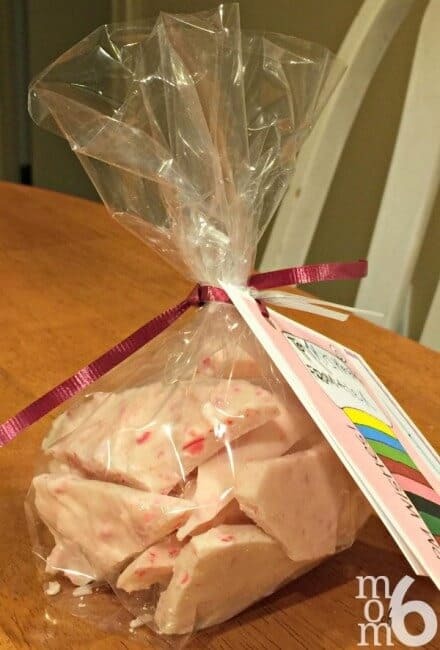 Place the white chocolate chips in a microwave-safe bowl and microwave on high for 1 minute. Stir the chips (even though they don't seem melted yet). Return the bowl to the microwave and cook on high for another minute. 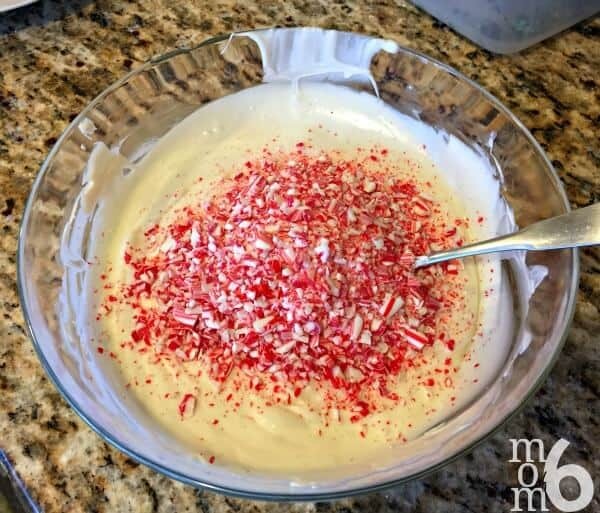 Add the crushed candy canes and peppermint extract to the melted chocolate. Stir to blend. Pour the chocolate mixture into a large rimmed cookie sheet, lined in parchment paper. Use a spatula to spread the chocolate to an even depth across the length and width of the pan. Cool in the fridge for 30 minutes to harden. Break into small pieces to serve. 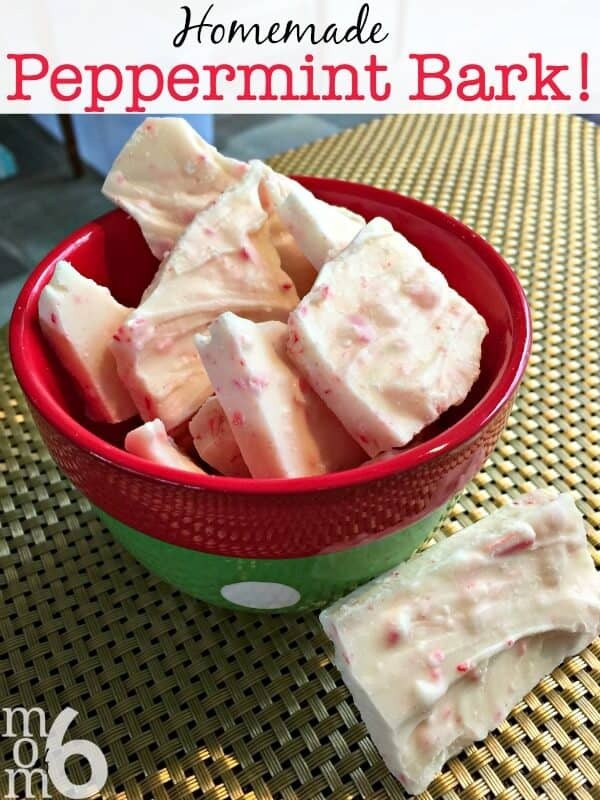 I hope you enjoy this peppermint bark recipe as much as we do! We make the same thing every year… it’s so easy and is always a hit! One of my favourite parts of Christmas is smashing the candy canes… although the last few years my kids have taken over that role! Merry Christmas to you and your family Sharon! 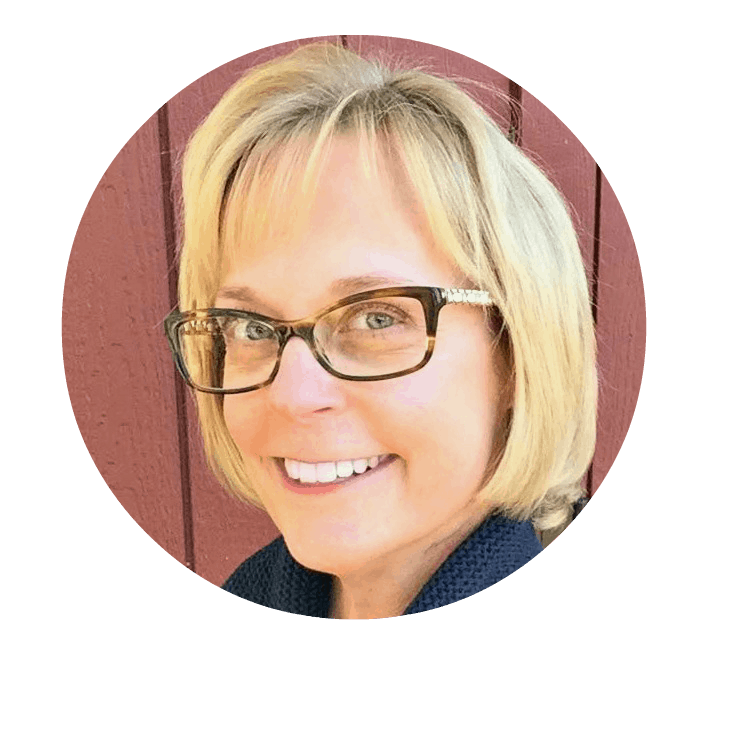 Yes- this was the first year my kids unwrapped and did all of the candy cane smashing for me- and it was awesome! Merry Christmas to you and your family Hilda!